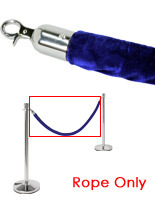 This post rope is intended for our chrome stanchions. 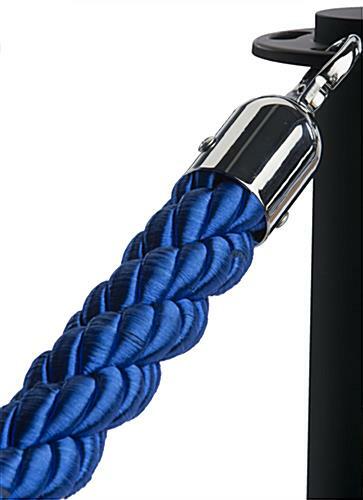 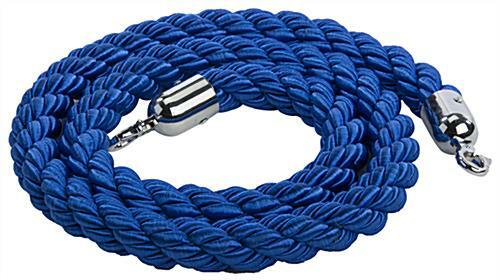 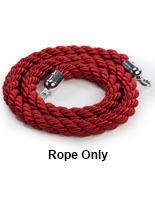 It is a blue twisted nylon material, which adds elegance to barriers. 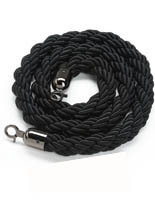 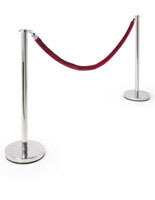 Stanchions with rope are great for crowd control and line formation at events, banks, casinos or offices. 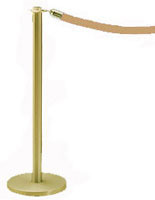 The barriers will be 6ft apart using this belt. 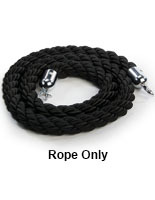 At each end of the rope are polished chrome hooks that clip onto the pole. 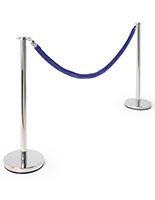 Crowd control stanchions can be used in retail or commercial environments.